Please contact me regarding the 2011 International 7500 WORKSTAR - Stock# BJ340200 for sale at TruckerToTrucker.com. Take a look at this 2011 International 7500 WORKSTAR. It is Stock# BJ340200 at TruckerToTrucker.com. 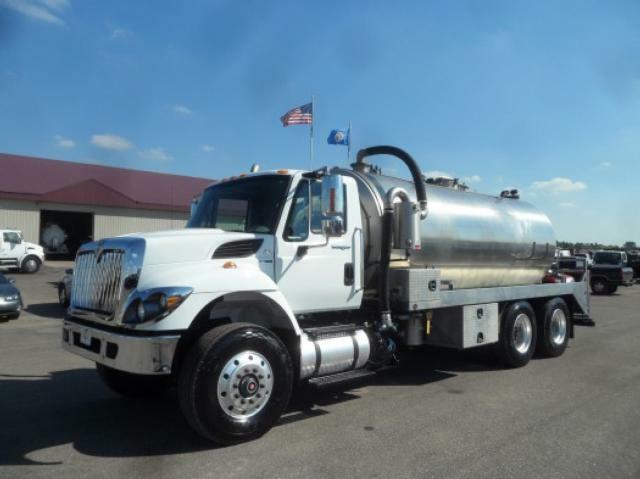 2011 International 7500 Workstar w/ Best Enterprises stainless steel tank with 3,600 Gallon Tank Capacity, (3,400 gallon waste, 200 gallon fresh), PTO Driven Pressure Washer, National Vacuum Equipment (NVE) 506 Challenger Series liquid cooled 500 CFM ballast vacuum pump, Stainless Steel Tank, Custom Portable Restroom Hauling Platform, Backup Camera, Three Stage Engine Brake, Very Clean Truck. For more details, information, or for a demo contact Tom or Jeff Friedrich at CarCo Truck.